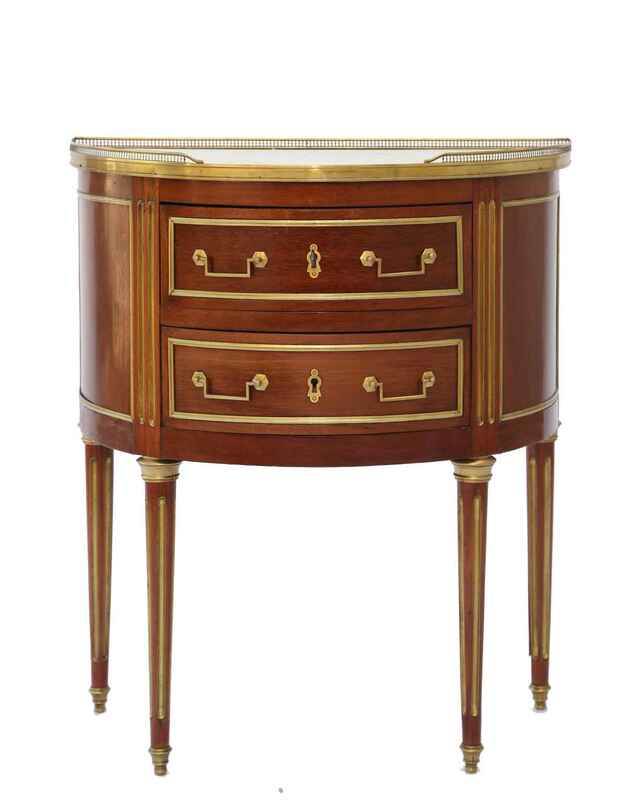 Demilune chest, having its original top of Carrara marble, surrounded by 3/4 pierced gallery, over double stacked drawers, its fielded front and sides framed in brass, raised on round, tapering, brass-inset fluted legs, ending in touipe feet. Demilune chest, having its original top of Carrara marble, surrounded by 3/4 pierced gallery, over double stacked drawers, its fielded front and sides framed in brass, raised on round, tapering, brass-inset fluted legs, ending in touipe feet. CONDITION: Very good antique condition. Wear consistent with age and use.